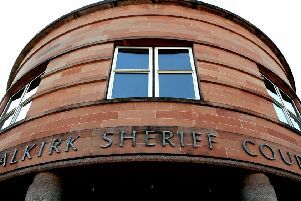 Two further teenagers have been charged in connection with a number of assaults in Stenhousemuir. Police have confirmed two more teens have been reported in addition to the four already charged following the incidents on the night of Friday, May 4. Investigations into the assaults are continuing and officers are eager to hear from potential witnesses. Sergeant Lynne Rushford, of Forth Valley’s Community Investigation Unit, said: “We are still appealing for other witnesses to these incidents to come forward. “These were despicable, targeted attacks and we would appeal for anybody with information to contact officers at Larbert Police Station. Anybody with information relating to these incidents can contact police on 101 or email BonnybridgeLarbertCPT@scotland.pnn.police.uk.